GCDR’s affiliation to DRBA is important and noteworthy. DRBA is a world class Buddhist association that has a long history operating a Buddhist university, schools and Buddhist texts translation and publishing works. Its contributions have gained recognition from the White House and continue to be an important benefactor of society after 54 years of teaching Americans and the world Buddhism. and had tirelessly established world class schools in the U.S. to teach morals and virtues to the world's most developed nation. Today, Buddhism is the fastest growing religion in Australia and as more Australians set out to understand the religion and seek mindfulness in the world of chaos, GCDR has been providing the opportunity for the study and practice of Buddhist principles as well as the teachings of meditation and Buddhist way of life. The importance in making Buddhist education available in Australia has been without compromise. The gravity of DRBA’s commitment via GCDR has been clearly demonstrated through residence of its most esteemed monastics to teach here in Australia – DM Heng Chih and Rev. Heng Sure, both foremost disciples of Ven. Master. In fields of the human life we see the potential and relevance of applied Buddhism extend from principle of humaneness, to its application in the advance fields of neuro-social science, to development of mental and psychological health, or simply wanting a quiet state of mind. 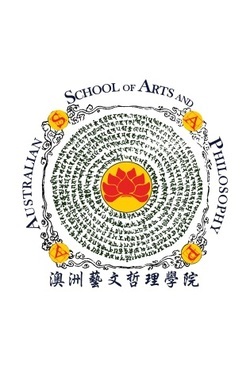 SoA offerings in the Arts will focus on extended programs of language study (such as Sanskrit and Chinese) that can advance to levels of translation from a primary language to a target language that will require a comprehensive grasp of both languages. The SoA has also affiliated with educational company Knowledge Renaissance Pty Ltd (http://www.asapenglish.com.au), which runs a non-credit English as Second Language (ESL) program that is hosted on GCDR grounds.